Bullistik I Will Not Be Denied! 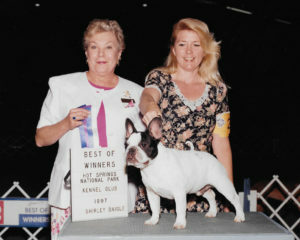 In the beginning (1991), I veered off the mainstream course of popular colors at the time (brindle & cream/fawn), and decided to breed the colors that appealed to me, although they were a struggle in the AKC conformation show ring. 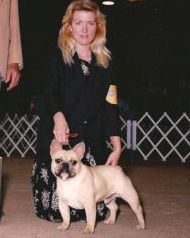 PIED and BMF were legitimate colors per the French Bulldog breed standard, but were not popular at the time so rarely, if ever, seen in the show ring, and harder than hell to get an AKC Championship title on. But, me being me, I set out to show the French Bulldog world that I really didn’t give a rat’s a$$ what the mainstream thought, and set the future for my breeding program which of course, was all about breeding and exhibiting what I found to be most rare and beautiful. At the time, that was pieds (brindle, fawn, red) and black mask fawns (red, fawn). Mask Reds as well as the “preferred” creams, fawns, and brindles. 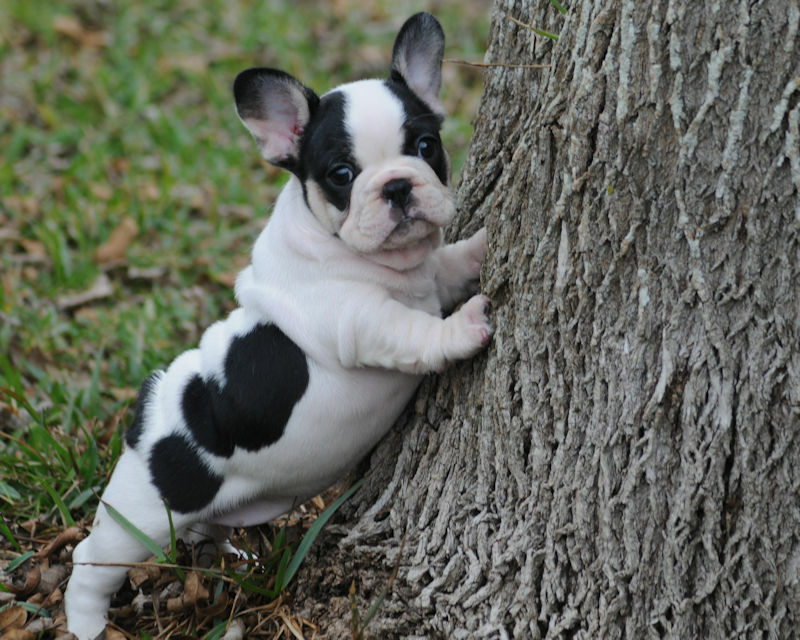 And although it has been 28 years since I laid eyes on my first Frenchie and started my love affair with this fabulous breed, I have never lost sight of my desire to breed healthy, structurally sound, aesthetically pleasing French Bulldogs in all their glorious colors! So here I am in 2018, introducing my sensational girl, Bullistik I Will Not Be Denied!, who is not only PIED but she is also BLACK & TAN and carries BLUE! hahaha…….talk about a trifecta! Those ‘TAN’ cheeks on this beautiful little lady just make me smile every damn time I look at her. Although it has been 28 years since I started my mission to breed what I loved and not allow myself to be bent to the will of ‘conformists’, I feel nothing but pride & joy in what I’ve accomplished over the years, and certainly have ZERO regrets about forging my own path. 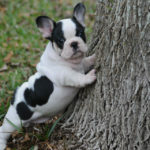 ‘Denied’ is a daughter of Moonlight & Tycoon, a full sister to Peril and she is everything a lover of this breed could possibly ask for in temperament, structure, conformation, color dna, and proof that beauty comes in all colors; standard and non-standard. 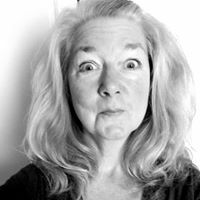 My hope is that the FBDCA powers that be, will someday pull their heads out of their a$$ and get rid of the ridiculous color DQ’s that keep us from exhibiting our rare gems in AKC conformation events! Stay tuned for more on the lovely Denied and her gorgeous Blue & Tan daughter ‘HellCat’…..